Automotive foams are polymer foams manufactured by combining two phases, gas phase and solid phase to develop foams. This process results in development of foam incorporated with either air bubbles or air tunnels which are either closed cell structure or open cell structure. Foams with open cells are flexible while foams with closed cells are rigid. Chemical or physical gas is used as a blowing agent in the manufacturing of automotive foams. All the polymer foams are produced using various methods such as extrusion, slab-stock and molding. Polymer foams are used in automotive industry, packaging industry, construction, furniture and other industries. The global automotive foams market is segmented on the basis of types such as polyurethane, Polyolefin, Styrenic, Polyvinyl chloride, Phenolic, Melamine, starch foams, biodegradable foams and others. Globally, automotive foams are utilized in manufacturing industries such as instrument panels, seating, door panels, headliners, water shields, gaskets, seals, Noise-Vibration and Harshness (NVH) solutions and others. Automotive foams are used in automobiles such as Compact Passenger Cars, Mid-sized Passenger Cars, Premium Passenger Cars, Luxury Passenger Cars, Light Commercial Vehicles, Heavy Commercial Vehicles, and Two-Wheeler. The major factors driving the global automotive foams market are low density foam products, weight reduction characteristics and cost effectiveness. Automotive foams are used as optimal insulators with low heat transfer property, flexibility and softness in automotive foams provide extra comfort to the passengers, growing consumer preference for polymer foams in vehicles and manufacturer’s approval towards automotive foam products in commercial vehicle are the other factors driving the demand for automotive foams on a global scale. According to the study “Global Automotive Foam Industry Situation and Prospects Research report”, global automotive foams market faces few major market challenges such as waste disposal, flammability, recyclability and adverse effects of blowing agents on the environment which are directly hampering the growth of the market. The global automotive foams market is spread across North America, Latin America, Western Europe, Eastern Europe, Asia-Pacific, Middle East and Africa. The leading players in the manufacture of automotive foams are Woodbridge Foam Corporation, Bridgestone Corporation, Johnson Controls, The Dow Chemical Company, BASF Chemical Company, Lear Corporation, Vitafoams, Saint-Gobain, Armacell, Recticel, Adient Plc., Caligen Foam, Zotefoams Plc., and others. The increasing disposable income and the rising trend of urbanization in emerging economies, such as Japan, China, and India has witnessed a significant growth in automobile industry while utilizing the automotive foam products. China is the leading consumer of automotive foams across the world due to the rapid growth in the manufacture of heavy commercial vehicle and passenger cars within the automotive industry. An automobile per household has become a necessity and status symbol in the society due to modernization which is driving the global automobile market and the automotive foam market. 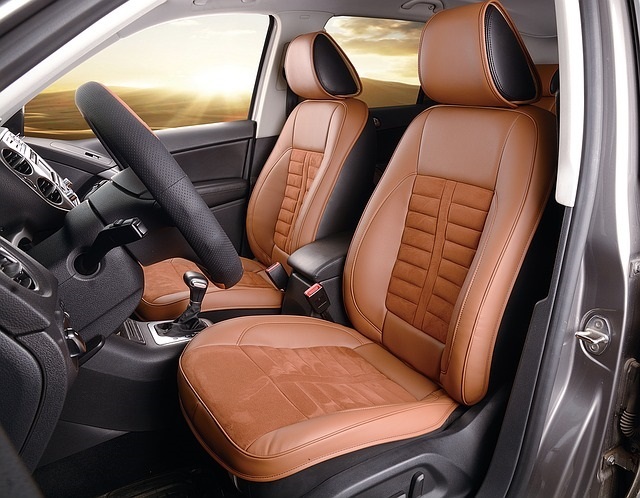 Majority of the polyurethane foams are used for seats in the automobiles due to their excellent features such as ease of installation, minimal weight, fire resistance, thermal resistance, and low cost. There is a huge demand for polyurethane foam compared to the other variants of foams and is expected to remain on the top over the next few years.